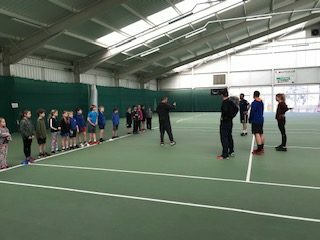 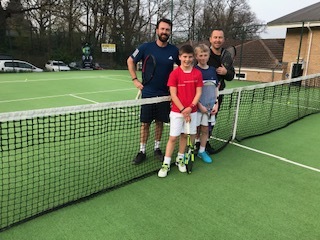 Danny Sapsford and Luke Milligan from the Charity ‘Bright Ideas for Tennis; provided an excellent day of tennis for all ages at the club from 6 year olds upwards. 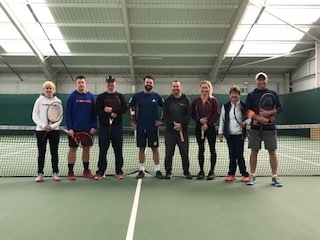 The energy and enthusiasm they brought in their five hour on court stint was exemplary and the tactical and technical knowledge they shared was an inspiration to all those who took part. 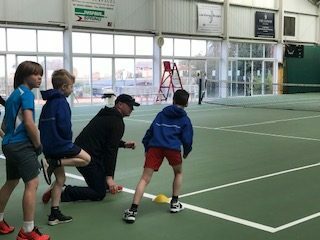 The on court clinics culminated in Junior Players Sam Cassidy and Sam Laidler, Beth Pye and Lois Burgess playing tie break shoots outs against Danny Sapsford and Luke Milligan and the final match saw County Champion Jamie Marks and Head Coach Chris Skinner just coming up short against the former Davis Cup players. 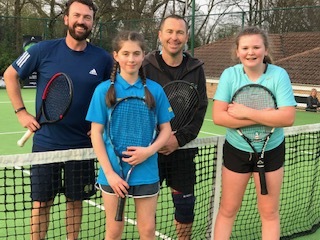 The sun shone all day and the final matches were played outdoors with a good crowd cheering the home side on. 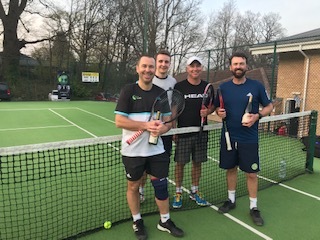 The money raised is going towards the on going tennis developments at the club.